This summer, we brought in a local photographer who volunteered her time to take portraits of families living at the shelter. Each family was provided with prints of their entire photo shoot. For some, this was the first time they’d ever had a professional photograph taken together. 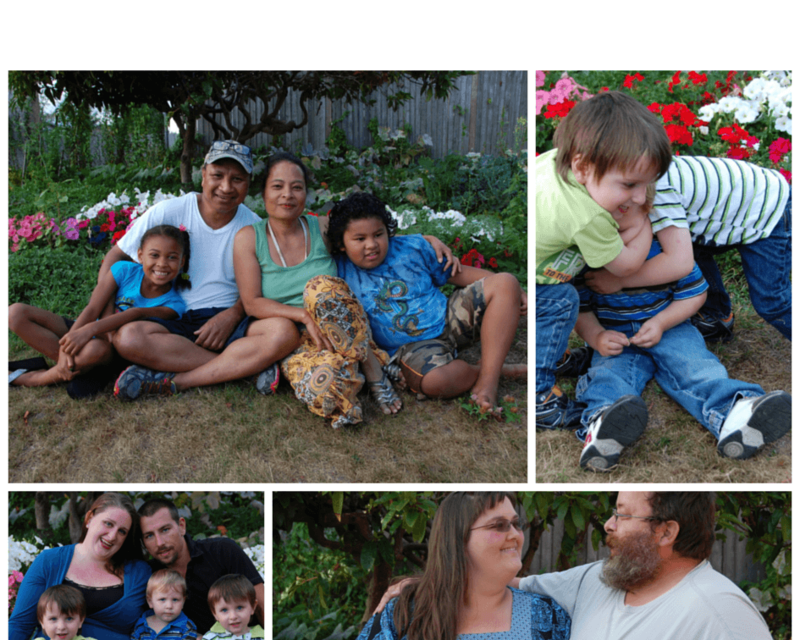 What is immediately evident in the images is the fact that these are not homeless families posing for a camera. Sure, at the time the pictures were taken, these families were all without a home. But that’s not what shows here. Here, we see something far more enduring: parents who find joy in their children; partners who love one another; families who possess strength and resilience. This project was so successful, we plan to offer it regularly to families who stay at the shelter.